The mission of Tequila Sunrise Hostel is to give the best impression of Australia to each of our guests. This hostel is intended for international young travellers. 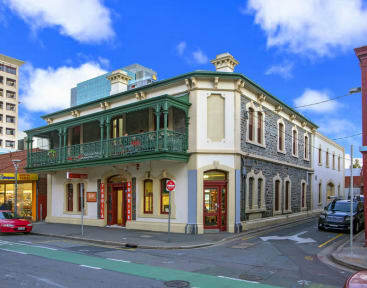 For that reason, we choose our location right in the heart of the Central Business District CBD -just two blocks from Central Market, Hindley St and many museums and tourist attractions. In addition, we prepare every morning a delicious buffet of pancakes, coffee, tea and season fruits. We have a full-equipped kitchen where you can cook, share meals and make friends. We created a nice common room where you can relax, read a good book and have a delicious coffee. 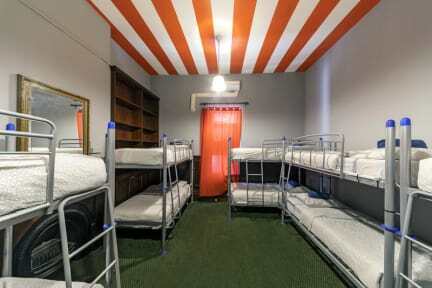 Tequila Sunrise Hostel has 18 rooms with 134 beds. Our facilities include a common room, laundry machines, free WIFI in every room, security camera circuit, lockers and helpful reception staff, refrigerator with sodas and beers, city maps, hot water, TV room, green patio and a chill & relax atmosphere. The kitchen is open so you can use it and cook your favorite meal. We are located at 123 Waymouth St. 10 minutes from the airport and short distance from bus terminal. The location is just perfect.